1. HEARGLASS is designed by audio engineers to provide broad spectrum Hi Fidelity quality sound without compromise. 2. 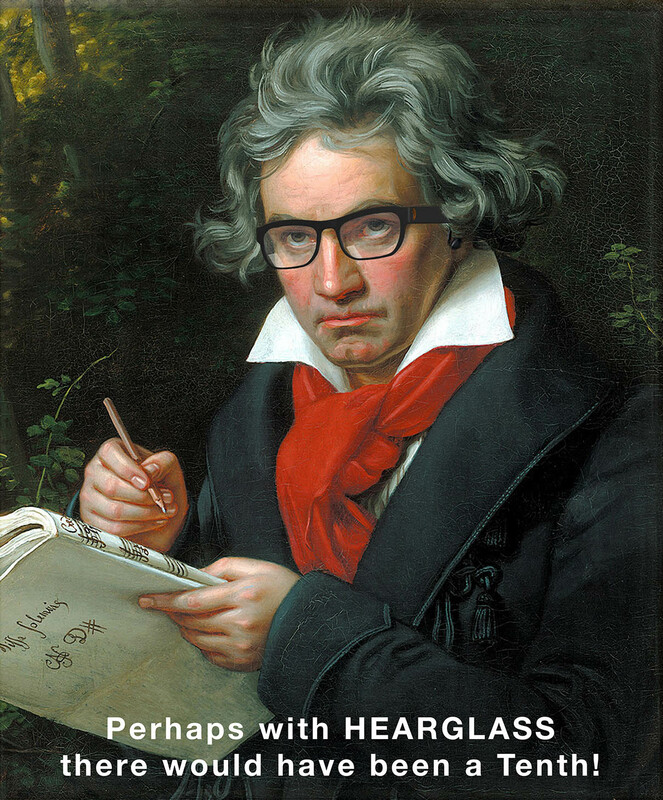 HEARGLASS will bring music back to life in your ears without the distortion of hearing aids. 9. HEARGLASS batteries can be recharged. 12 HEARGLASS like Kindle, can be lost or damaged and replaced for the price of the hardware – not the the full cost of hearing aids. 13. HEARGLASS will be competitively priced against hearing aids, with a lower cost of annual ownership – batteries, loss, damage etc.